 The exhibition is a collaboration between the Centre for Life-Writing Research at King’s College London and the Great Diary Project, co-directed by Professor Clare Brant, King’s and Dr Polly North, Director, The Great Diary Project. The exhibition is supported by Cultural Programming, King’s. King’s College London would like to thank all the galleries and individuals who have so generously lent and contributed to the exhibition. All endeavors have been made to obtain permission for all exhibition items. 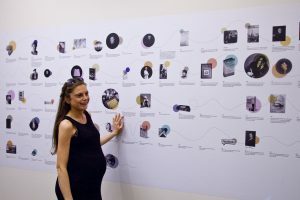 The exhibition draws on the expertise of the European Research Council funded Ego-Media research group at King’s, which investigates life writing in the digital age. 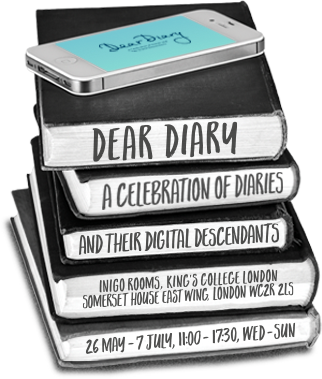 The Great Diary Project was launched in 2007 by two diary devotees, Dr Irving Finkel and Dr Polly North. The project archives and curates a growing collection of more than 7,250 diaries, including those of an eighteenth century tin miner, a First World War cattle farmer and a twentieth century fashion designer. Most of our diarists are completely unknown to the public, but extraordinary all the same. Most wrote in private, with themselves their only audience, and their writing is therefore intimate, but also of great social value. People’s diaries are at risk. Even life-long diary-keepers frequently make no provision for the preservation of their writing. These works often house a lot of dust and some spiders; often they are bulky and near-illegible. Some descendants seek out the GDP to take on cherished but awkward diaries; sometimes we rescue diaries from skips. Previously loved or unloved, we preserve them as important items of everyone’s history. All our diaries are catalogued for the Project database, the contents of which are freely available to researchers and interested readers, who are welcome to consult the originals in Bishopsgate Institute’s reading room. Ego-Media is a five-year project funded by the European Research Council to assess the impact of digital and social media upon the practices and experiences of life writing and related modes of ego narrative. I combines life writing and new media theory to explore the networked self in forms including vlogs, blogs, social media platforms and apps and other online sites. – How do you document your life online – and how do you feel about it? – How have digital and social media changed the way you present yourself? – Who do you post for? 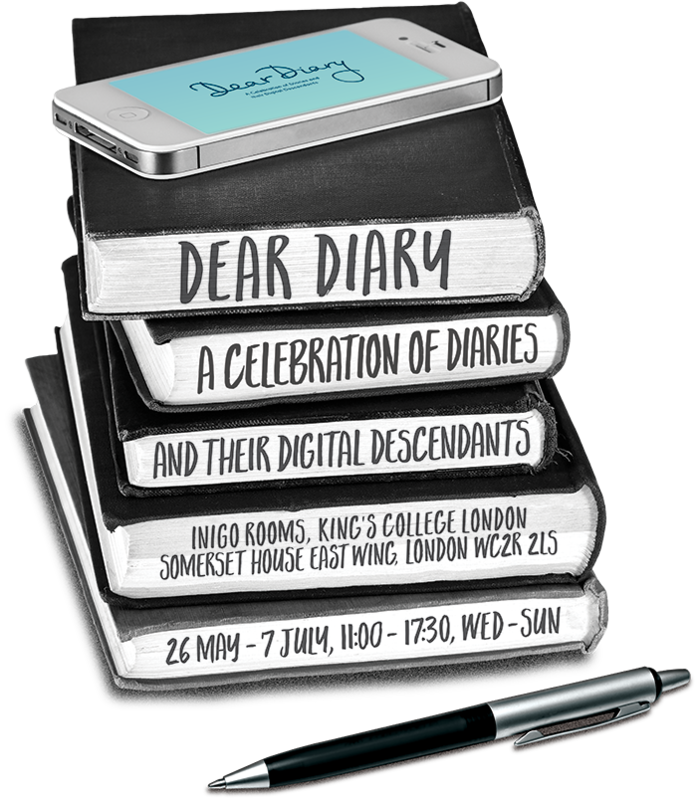 – What’s the future of the diary? Cultural Programming at King’s engages the public with the work of the university, curating creative spaces at the interface between King’s and London by bringing together academics, artists, cultural partners and students to stimulate curiosity, provoke new thinking and support leading-edge collaborations. The Centre for Life-Writing Research is a pioneering group producing some of the most innovative work in the field. Established in 2007, and now part of the Arts & Humanities Research Institute, it enables experts and students to share research and exchange ideas with a wider audience. We work on all sorts of topics and periods covering a wide range of genres –biography, autobiography, autofiction, diaries and letters, memoirs, digital life-writing (including social media, blogs, audio and video), the visual arts (especially portraiture), poetry and medical narratives (including case histories). What connects us is an interest in the theory, history and practice of life-writing. As one of the oldest and most distinguished English departments in the United Kingdom, we welcome students into a large and dynamic community that is a cornerstone of the arts and humanities at King’s. Studying in our department means learning alongside other talented students who excel in their creative and critical thinking. Our students are taught and supervised by academics whose research encompasses both the traditions of English literature and its latest innovations. Our undergraduates enjoy a syllabus that spans from the seventh century to the present day and includes literature from English speaking countries across the world. We study English literature in all its periods, genres, styles and manifestations, and, crucially, we seek to make important connections across all of these. Moreover our students receive teaching shaped by top quality research; research in our department achieved a ‘power’ ranking of 8th in the UK in the 2014 Research Excellence Framework, which assesses the quality and quantity of research across the UK’s universities. That means that our full-time Faculty are among the leading scholars in their chosen fields, regularly publishing new insights and interpretations.